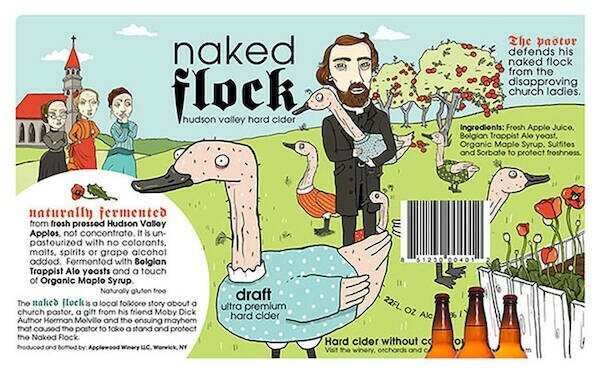 Applewood Naked Flock Original is fermented with Champagne yeast and sweetened with a touch of organic maple syrup. It is unpasteurized with no colorants, malts, spirits, or grape alcohol added. Produced in upstate New York in the Hudson Valley.